In October 2015, CDC Packaging began the process of being certified to ISO 9001:2015. Over the next several months, we will formalize and document the quality management processes and manufacturing procedures that have earned us such high customer satisfaction ratings for the past 20 years. Then an independent agency, IMSM Limited, will verify that CDC Packaging has met all the requirements of these rigorous international standards and issue official ISO 9001:2015 certification. Why did we decide to invest the time, energy, and resources in such an extensive process? To provide our current and potential customers with an extra layer of certainty when they are making the critical decision about which vendor should package and ship their capital equipment. Every purchasing decision requires some level of due diligence. You read the Amazon reviews before buying a book. You solicit recommendations from neighbors before hiring a contractor to re-do your kitchen. But how can you tell if the company you are considering hiring is qualified to handle your shipment? Inevitably, you will need to do some serious legwork to be comfortable with your final decision. Choosing a company whose quality management system has been “ISO certified” can be a shortcut to a successful shipment. By completing the ISO 9001:2015 certification, that vendor has already documented policies and procedures that provide answers to many of the concerns any potential customer would have – and has received a seal of approval from an independent third party. The International Organization for Standardization (ISO) develops and publishes international standards to help ensure that products and services are safe, reliable and of good quality. These standards apply equally to all industries around the globe and require that companies seeking certification be able to demonstrate how their systems meet the standards’ rigorous requirements. The ISO 9000 family of standards focuses on quality management. It provides guidance and tools for companies that want to ensure that their products and services consistently meet customer’s requirements, that their processes are efficient, and that quality is consistently improved. If a company has been certified to the ISO 9001:2015 standard, potential customers can feel assured that all the vendor’s activities – design, manufacturing, production, purchasing, quality control, packaging, handling, storage, shipping, and customer service – are appropriately managed and controlled. You will breathe easier knowing that an independent third party (the ISO certification agency) has spent countless hours reviewing the vendor’s processes to verify that they meet a rigorous set of standards. It should be a comfort to know that an outside authority has determined that the vendor has demonstrated a financial and ethical commitment to providing high quality products and/or services. Hiring a vendor whose quality management system has been certified to ISO 9001:2015 gives you a serious head start in the vendor selection process. Because the ISO certifying agency has already done an immense amount of work to determine that the vendor is following appropriate quality management procedures, you can focus your investigative efforts on details that are specific to your particular project. ISO certification can be a shortcut through pages and pages of paperwork, especially early in the vendor-customer relationship. A current certification means that a simple checkmark can eliminate hours of paperwork. By their very nature, standards make it simpler to compare competing vendors. Standardization helps create “apples-to-apples” comparisons. If you are comparing two vendors who have both been certified to ISO 9001:2015, for example, you don’t need to spend valuable time digging into their quality management processes. Instead, you can skip ahead to considering details such as pricing or timetables to make your decision. Whether you get audited or are simply fielding questions from a customer, it’s easy to handle inquiries about your relationships with ISO-certified vendors. Rather than diverting resources from your primary business in order to create a paper trail to share with your curious customer, you can simply point to the documentation the vendor created for their most recent certification. Shipping sensitive, high-cost equipment requires an experienced packaging operation with a proven record of success. 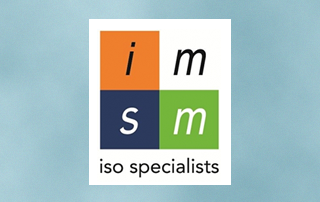 Whether you are most concerned about on-time delivery or the quality of the raw materials used to create your custom packaging, choosing a vendor whose quality management system has been certified to ISO 9001:2015 should reduce your worries, eliminate headaches, and increase the likelihood that your shipment will arrive safe and sound. CDC Packaging is expected to complete ISO 9001:2015 certification by March 2016. Contact us today to learn more how our commitment to international quality standards can help guarantee your company a successful shipment.